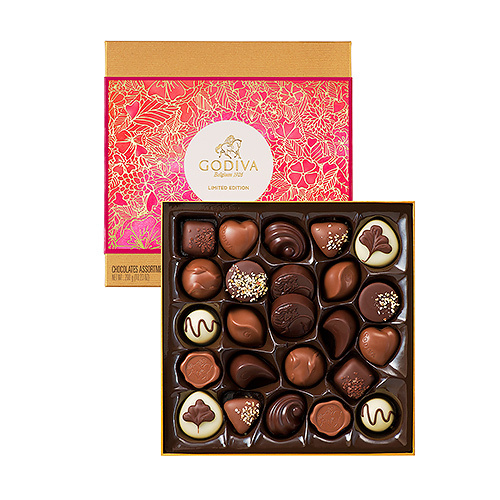 Godiva helps you to conquer hearts, express your love, and surprise your sweetheart, mother, or other special someone with a beautiful gift. 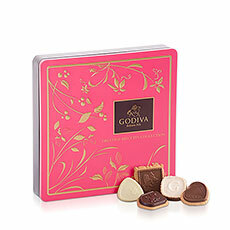 The Gold Rigid gift box is romantically decorated with floral motif and gold accents. 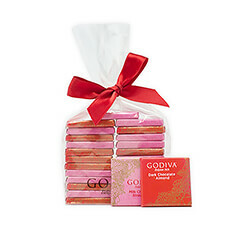 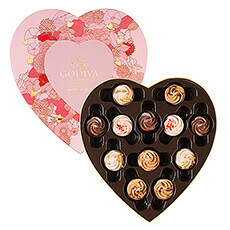 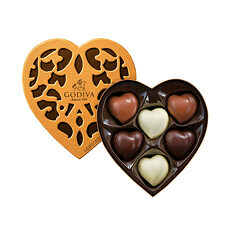 With an assortment of 24 irresistible Godiva pralines, this is a fantastic gift idea for her.